​So you're looking to buy a bike, but don't want to take the leap and spend a large amount of money on a new bike? 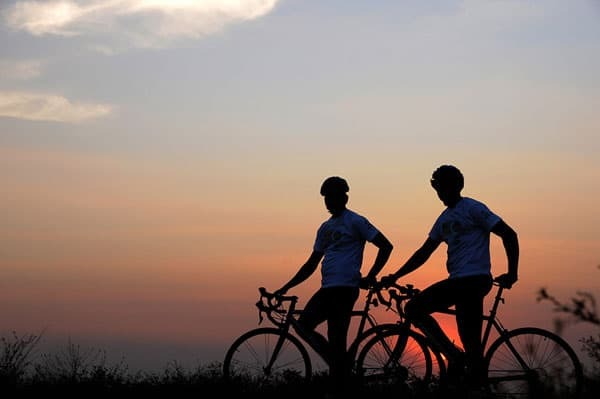 Buying a used bike can be an affordable alternative that still lets you ride. But just as investing in a new bike requires a significant amount of research before purchasing, so does buying a used bike. In this article, we'll walk you through everything you need to know to purchase the used bike that's right for you. ​How much is a used bike worth? ​Are used bikes worth it? ​Used bike are almost always significantly cheaper than their new counterparts, but they can still be a big investment. So the question for many used bike buyers is - is it worth it? ​Assuming you do want a bike, the answer is often yes. 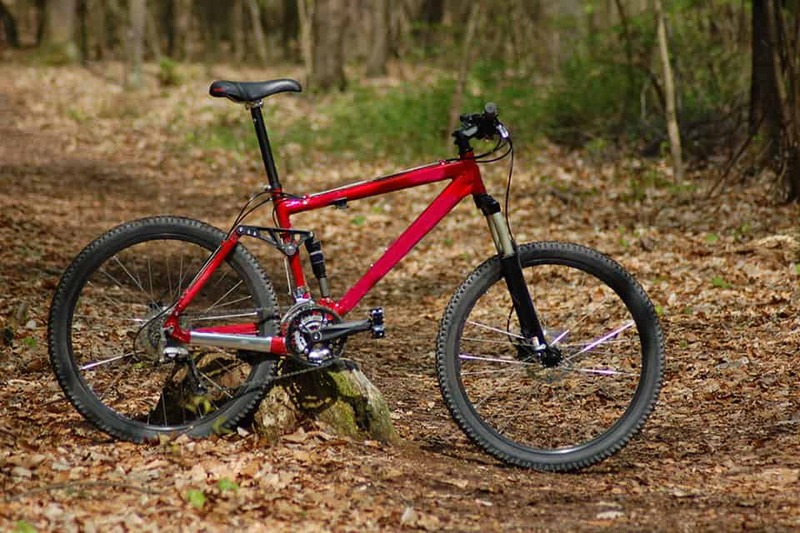 Used bikes vary widely in quality, but it's relatively straightforward to find a used bike that can be almost as good as a new bike for far less cost. Just like cars, bikes lose their value as soon as they are ridden - even if they're as good as new! Used bikes can also come with higher quality components than a new bike if the previous owner made upgrades. ​Another consideration that can make a used bike worthwhile is if you are only planning to use the bike for a few years or less. New bikes lose much of their resale value in the first few years as newer models are released, so when it comes time to sell your bike you are likely to find that it is worth only a fraction of what you paid - even if it is in like-new condition. This makes used bikes a great choice for those who move frequently or even for long vacations. ​However, in weighing the cost of a used bike against a new bike, it is also important to consider the wear on the bike and its components. A used bike may have a shorter frame life than a new bike, or it may be necessary to replace some old components. All of these updates can add to the effective price of a used bike and reduce the value you receive relative to a new bike. This is one of the reasons it is extremely important to do your research when buying a used bike and thoroughly inspect a prospective bike. In addition, buying a used bike does come with some risks. Specifically, there are two important things that used bikes do not come with – a warranty and a crash replacement policy. 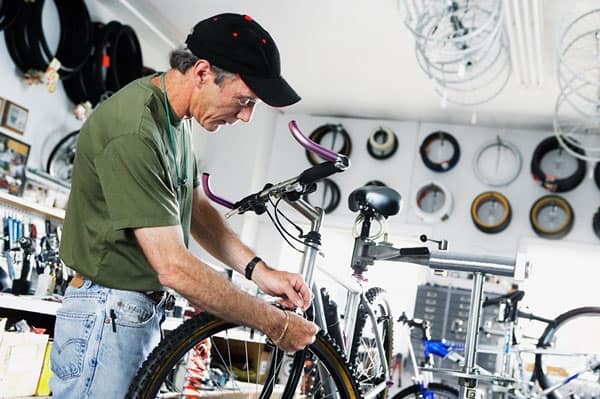 ​Unless you buy used from a shop that specializes in reselling used bikes, your used bike won’t have a warranty on it. Even when the bike is new enough that the manufacturer’s warranty would still apply, most warranties are written so as only to apply to the bike’s original owner. ​Without a warranty, if anything goes wrong with the bike after you make the purchase, you’re on the hook for the repair costs. ​This is particularly important for carbon frame bikes. Carbon frame bikes are excellent for speed, weight, and shock absorption, but unlike aluminum or steel frames they can be completely ruined by even a small crash. That’s because a small crack or dent in a carbon frame – even one that is impossible to see with the naked eye – can propagate without warning and cause the frame to fail while you’re riding. That’s not only extremely dangerous, but without a warranty, it can also leave you with a bike that is beyond repair and no recourse. ​The other potential pitfall to buying a used bike is the lack of a crash replacement policy. 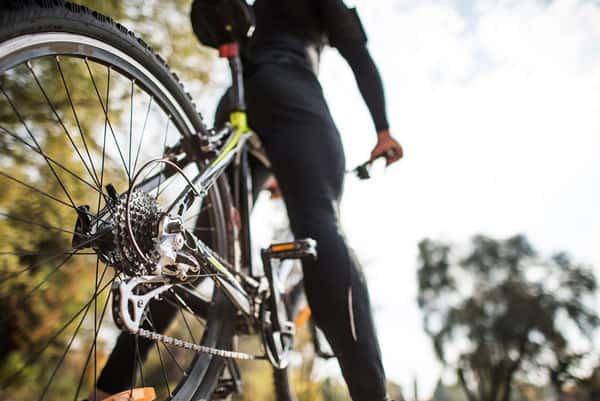 Many bike companies offer a significant discount on a new bike if your bike is damaged in an out-of-warranty situation, like a crash or damaging the bike while not riding. However, like warranties, these discounts only apply to the original bike owner. ​With all those benefits and caveats to buying a used bike in mind, are you still interested in a used bike? ​If so, read on to find out what you need to think about before you even start the search. It may seem basic, but think about the kind of bike you want and for what purpose. When starting a used bike search, you are likely to come across a ton of seemingly great deals that can sidetrack you into buying a bike that doesn’t fit your needs. 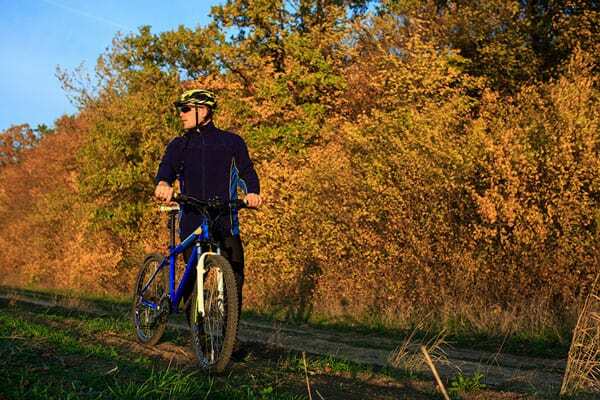 Having a strong idea of what you will use the bike for, or even a specific frame in mind, can help you to narrow down your search and come away with the bike you set out to buy. Once you know what type of bike you’re looking for, you can further narrow down your search by frame size. If you have previously owned a well-fitting bike, finding a bike of the same frame size usually works well. However, different manufacturers have different sizing guides, so it can be a good idea to measure your body dimensions and have those numbers on hand when looking at used bikes. ​How old is too old? ​Another thing to think about before beginning your search is how old a model you are willing to buy. Not only has bike technology come a long way in the past decade – and you’re likely to find bikes for sale that are more than 10 years old – but many modern components are no longer compatible with ancient bike models. It is important to ensure that you can replace individual components with new pieces, or find a supplier of old components, without having to trash the whole bike when something breaks. ​In addition, bikes do wear down over time and frames and components can fail after enough years of use. However, this is highly dependent on the specific frame design and there is no general rule of thumb for how long a bike will last. ​Finally, it is also a good idea to set a budget when buying a used bike. This doesn’t need to include a hard upper limit, but it can help you to define your expectations and narrow your search. ​These days, most people will be searching for a used bike online. Because of the risks inherent in buying a used bike, it is critical to do a thorough inspection on the bike. ​In this section, we’ll cover everything you need to know about inspecting a used bike. ​Your inspection process should start during your online search, before you even think of seeing the bike in person. When you find a bike that looks promising, ask for as many photos as you can, and specify different parts of the bike that you’re interested in inspecting. Also, ask the owner questions about the bike before you get too attached to it. ​If all checks out at that point, it is just as important to see the bike in person. ​Photos don’t reveal everything, and inspecting the bike in person gives you a second chance to catch any troubling features you may have missed. Plus, this is your chance to take the bike out for a quick test ride to make sure it fits your body and your needs. Now you know that inspection is critical – but what, exactly, should you be inspecting? We’ve got you covered with a full guide. The seat post is one of the areas of the bike that receives the most stress since it carries much of your body weight while riding. It’s also an area that is frequently corroded on bikes that haven’t received proper maintenance. In addition to visually inspecting the seat post, move it up and down to make sure it slides easily and there are no cracks hidden in the seat tube. The post should also turn side-to-side when loosened, and the screws should be free of corrosion. ​The frame is often what you’re really buying in a used bike, especially one with older components – so it’s important to ensure that it is in good condition. The first step is to visually check every inch of the frame for cracks or dents, keeping your eyes open also for scratched paint that could indicate damage from past crashes. Remember that on carbon frames, it may be impossible to see structural damage to the frame that can lead to failure. This is also a good time to check the front derailleur mounting plate, which is often riveted or bonded to the frame. Check for visible signs of corrosion and give the front derailleur a tug to make sure that it is not coming loose. ​Checking the steering assembly can take some work, since really digging into the tube requires you to remove the handlebars. However, this is an important step as it can reveal any damage to the steering tube that can lead to issues while riding later and potentially expensive repairs. In addition, it is good practice to have a manual for the specific steering assembly on hand so that you can compare between what the assembly is supposed to look like and what it actually looks like. Pick up the front of the bike to make sure the steering assembly moves back and forth freely, without stopping in the center. Also check the integrity of the front fork and make sure the dropouts – the insets that hold the skewer and quick-release handle for the front wheel – are intact. ​Most frames have a ton of small attachment points that can attract corrosion if not properly maintained. Visually inspect the bottle attachment points and the points at which the brake and shifter cables enter and exit the bike frame if the frame uses internal routing. In addition, double-check the frame in the area around the chain to make sure the chain hasn’t gouged the frame. Remember that scratches pose no threat to the integrity of the bike as long as there are no signs of corrosion. Anywhere on the bike where two different metals or carbon and metal are joined together is a potential area for corrosion. These areas are often found in the front and rear dropouts, as well as on the bottom bracket and around the head of the top tube. While a little corrosion is actually okay – and expected – in these areas of the bike, be wary of significant corrosion or bulges in the paint that can signify more extensive damage. 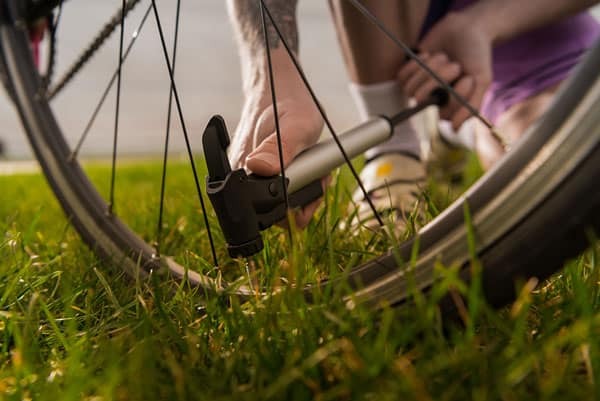 ​The wheels are one of the parts of a used bike that can be fixed or replaced without overhauling the bike in most cases, but it is important to know before purchasing if this will need to be done since new wheels can be an investment all on their own. First, give the wheels a quick spin to make sure they are running true relative to the frame and handlebars. If that checks out, thoroughly look at and run your hands over all of the spokes and the bearings. Spinning the front wheel and checking the fork for stop-and-go vibrations can also alert you to any damage to the wheel bearings, which can be an expensive replacement. ​Like the wheels, the drivetrain can be replaced – but often at great cost. Check the teeth on the front and rear cassettes to look for wear from the chain.The teeth should be even on the front and back sides and not appear hooked forward, which would indicate the gears need to be replaced. The chain itself is relatively inexpensive to replace, but you can check its wear by pulling it away from the front cassette. A chain in good condition should not pull more than two-thirds of the way up the teeth. In addition, this is a good time to look critically at the cranks and pedal arms for any cracks that have developed over time. ​Cables are relatively cheap to replace, but having them installed can be costly if you don’t know how to do it yourself. On the brake cables, check for fraying at the ends of the cables or around the edge of the cover tubing. Also give the brake levers a squeeze to ensure the brakes cinch tightly and pop back out when released. For the derailleur cables, change through the gears to make sure the shifting is smooth and there is no stickiness in the cabling. Once you’ve checked all the components of the bike, the next critical step of the inspection is to take it for a test ride. Make sure the bike rides straight, and that jerking the handlebars or bouncing lightly up and down while riding doesn’t produce any ominous cracking noises. Test the brakes and shifting, and most of all make sure it rides as well as you hoped it would. ​The last important piece of the inspection is to take the bike in to your local shop and have an expert do a quick once-over on it. 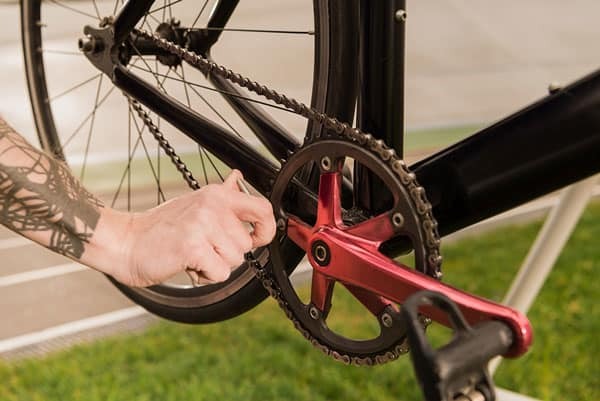 This usually takes less than five minutes, and at the end the bike mechanic will give you a run-through of everything they think needs to be done to make the bike safe to ride. ​Throughout this inspection process, you should be asking the current bike owner as many questions as you can think of. The critical thing to know is whether the bike has ever been crashed, since carbon frames in particular can experience frame damage without showing any outward signs. Ask whether the fork was replaced, since this is often one of the components changed out after a crash. It is also good to ask about the number of miles logged on the frame as well as the different components, if any were replaced after-market. Know the bike’s value before you make an offer. Buying a used bike is a haggling process – you’re rarely going to immediately agree to the asking price, nor should you when you can save some money by doing a little homework. But how do you know where to start your negotiation? ​The most important piece of information to show up with when talking to a potential seller is how much the bike is actually worth. Perhaps the best tool for figuring out what a bike is worth is Ebay. Simply enter the bike model and year, and you can see what similar bikes have sold for. Another great online tool is Bicycle Blue Book, a database that keeps track of the standard value of a bike after accounting for wear and depreciation over time. ​With either of these valuations, however, it is important to remember that a number of factors can change the value of a used bike. For example, a bike that has been well maintained and had the factory-standard components upgraded may be worth much more than what other bikes of the same model are selling for online. On the other hand, a bike that clearly needs repair work after the sale should be worth less than its book valuation since you will have to sink money into it to make it safe to ride. Do your homework to find legitimate sellers. ​Now that you know what to look for in a used bike, where do you go to shop around for used bikes? Some local bike shops offer used bikes for sale, although this is rare outside of major cities. Another option is to look for bike swap meets in your area. However, the vast majority of used bikes are listed and sold online through sites like Craigslist and Ebay. Although there are a ton of legitimate bike buyers and sellers on these sites, they can also feel like the Wild West of used bike sales. ​A relatively new competitor, Perfecto, bills itself as an online marketplace specifically for bikes and has received strong reviews from the cycling community. ​A major concern with buying used bikes on these online marketplaces is the risk of buying a stolen bike, which can come back to bite you if the police impound your recently purchased bike and return it to its lawful owner. 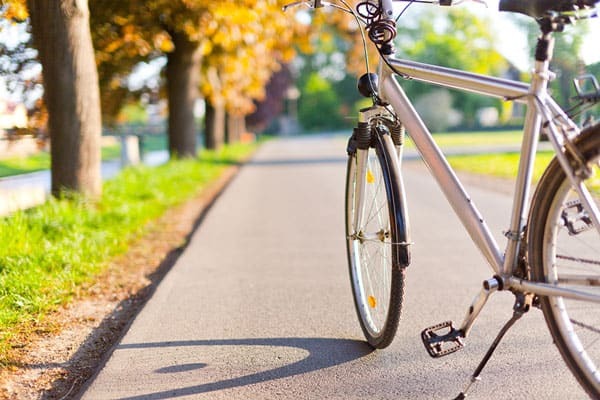 Unfortunately, it is often impossible to know for sure if a bike was stolen, but there are some steps you can take to protect yourself. ​Watch out for bargains that are too good to be true, avoid listings that have stock photos instead of photos of the actual bike for sale, and question the seller on the bike’s history and original purchase. Also ask for the bike’s serial number, which you can check against online databases like Bike Register. Finally, opt to pay for the bike through a protected money service such as Paypal rather than with cash, since these services offer some protection against fraudulent sales. ​The best money you can spend on a used bike immediately after buying is on a tune-up at your local shop. The mechanic will make sure that all the shifting and brakes are running smoothly, that the wheels are true, and that the drivetrain is clean and ready for action. While you’re there, pick up a new set of tires and have the mechanic re-wrap the handlebars with new grip tape – this will improve comfort and make the bike feel like new while you’re riding. ​Opting for a used bike can be a great way to buy the bike of your dreams without spending far beyond your budget since used bikes often offer near the quality of new bikes at a fraction of the cost. The downside is that it is important to be aware of the potential risks and pitfalls of shady used bike sellers, especially in today’s online used bike marketplace. 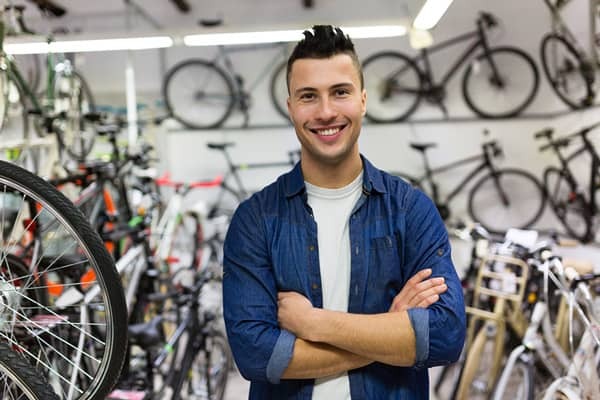 ​However, with careful inspection and clearly defining your expectations for the used bike buying process, you can walk away with a terrific used bike at a bargain price.